President Erdogan’s regular addresses to the Muslim and Turkish people of the Balkans are a soft power tactic that isn’t any functionally different from the transnational outreach attempts that other forces engage in elsewhere across the world and on different ideological-identity pretexts. The Alt-Media Community has once again been thrown into hysteria after one of President Erdogan’s latest speeches where he addressed his fellow Muslim co-confessionalists and ethnic Turkish kin in the Balkans on the eve of what ended up being his country’s monumental military victory in the northwestern Syrian town of Afrin. His words were reported on widely in the press and ominously framed in such a way as to imply that a similar operation might be commenced in Southeastern Europe one of these days as well, though nothing could be further from the case. The Balkan people are psychologically scarred by the centuries of Turkish occupation and have a reason to fear Ankara’s aggression against them, but their historical experiences over the previous centuries might be blinding them to how much the world has changed since then. One of the mainstays of post-World War I International Relations, and especially the world order after the conclusion of the Second World War and the Cold War, has been the inviolability of national borders, and it was the Axis’ aggressive undermining of this core tenet of stability that eventually led to the largest bloodletting in history. This is why the global community is so sensitive to anything that could be interpreted as hinting at this goal, and it’s also why the only time that it’s “accepted” is if it pertains to secessionist movements or internationally recognized legal unions of sovereign states. Saddam Hussein’s invasion, occupation, and subsequent annexation of Kuwait was too reminiscent of Hitler for global comfort, while countless double standards have been applied in the cases of Kosovo, the former Georgian Republics of Abkhazia and South Ossetia, and Crimea’s reunification with Russia. The point being made is that the forceful absorption of one country’s territory into another’s by means of the incorporating state’s conventional military is universally frowned upon and technically illegal under international law, though the latter doesn’t matter much so long as there’s no real political will among the UNSC to collectively enforce this statute against the offending country. Turkey is obviously well aware of this reality and therefore has no intention of waging a massive war against a coalition of Balkan countries like it did a century ago, after which it would probably have to ethnically cleanse the native Christian non-Turkish population from any prospectively conquered regions prior to their annexation by what could then be described as the “Neo-Ottoman Empire”. 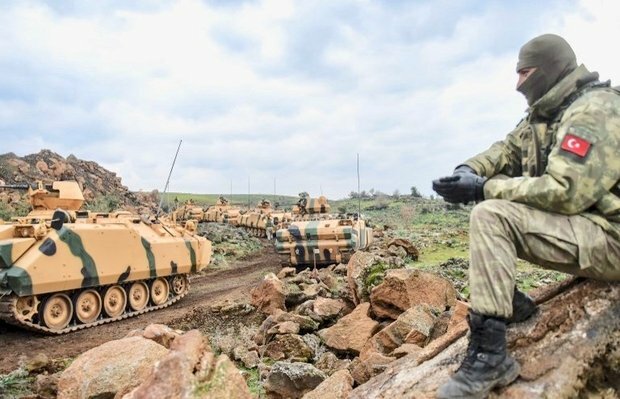 It doesn’t make sense for Turkey to go through all of this “trouble” in the Balkans if it’s not even interested in doing this through the comparatively easier scenario that just presented itself in northwestern Syrian region of Afrin. 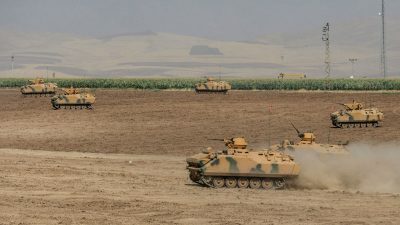 The Turkish Armed Forces assisted their FSA proxies in capturing this Kurdish-controlled city, but Ankara has been adamant that it has no desire whatsoever to annex it to Turkey. The government’s statement that it won’t return Afrin to the Syrian Arab Army (SAA) shouldn’t have been surprising because Ankara has always endeavored to carve out a sphere of influence in northern Syria, but this in and of itself doesn’t equate to an “annexation” like its critics have alleged. If Turkey wanted to, though, it could certainly experiment with this scenario prior to perfecting it for use in the Balkans, but it’s clearly abstaining from doing so for reasons that are understandable. No country wants to be bothered by securing newly acquired territory and suppressing a population that doesn’t want to join the neighboring state, nor does that government want to be financially responsibility for their affairs either. In this day and age, it’s much more effective to leverage soft power and indirect means of influence in exerting one’s sway abroad than to do so directly through military means. This explains why Turkey is resorting to proxy measures for securing northern Syria after driving out the Kurdish terrorists. As it relates to the Balkans and President Erdogan’s regular addresses to its Muslim and Turkish minorities, all that he’s doing is virtue signaling in a way that’s appealing to them and doing his utmost to maximize his country’s soft power. At the end of the day, it needs to be objectively acknowledged that those demographics are in the Balkans as a legacy of the centuries-long Ottoman occupation, and that Turkey rightly recognizes them as key instruments of influence inside of their host countries. Just like the Russian population in the post-Soviet republics, the Muslim-Turkish one shouldn’t be automatically equated with being “fifth columnist”. To elaborate a bit more, the post-war division of territory after any given conflict isn’t always “perfect”, especially in the sense of carving out “pure” nation-states, and many countries have “inherited” various ethno-religious and regional minorities through this means. Sometimes an entity embraces its identity diversity like the Russian Empire did (which served as a springboard for geographic expansion further afield at the time) whereas others like post-coup Ukraine have nothing but contempt for its non-titular peoples. The end of World War I saw population exchanges between Greece and Turkey, but not between Turkey and the other Balkan states, which is why some of the remaining Muslims and Turks didn’t leave the new countries that they ended up finding themselves in after this conflict. To be fair, ethnic Germans in Czechoslovakia and ethnic Belarussians & Ukrainians in the interwar Second Polish Republic were also in a similar position, et al. It’s just as natural for a Turkish leader to address the minority groups in the Balkans who identify more closely with his country (whether right or wrong) as it is for a Russian leader to do the same in the countries of the Near Abroad. Transcending ethnicity, many religious leaders throughout the world do the same thing when speaking to their co-confessionals, whether they’re Jews, Christians, Muslims, Buddhists, or Hindus, for example. Not only that, but ideology is also used in soft power outreaches too, such as when communists and capitalists tried to spread their message during the Old Cold War or when proponents of unipolarity and multipolarity attempt to do the same in the New Cold War. Furthermore, the internet has made it much easier to practice soft power than ever before, thereby “decentralizing” it away from its prior state monopoly and enabling a variety of non-state actors to experiment with it. One can argue about whether this is a “good” or “bad” development, but it’s nevertheless indisputable that soft power has become a defining characteristic of the contemporary world order. Every actor engages in this for their own reasons, and in the Turkish case, it may very well be because its government feels like the internationally recognized borders are morally illegitimate because they were imposed after military defeats and enforced by foreign powers. This same argument can be modified in explaining why some Russians feel similarly about how the post-Soviet borders separated them from their ethno-religious kin in the Near Abroad, and the historical extreme of this attitude be seen in Bolivia agitating for the return of its maritime border through what is nowadays northern Chile and Mexican ultra-nationalists claiming that the 1848 Treaty of Guadalupe-Hidalgo should be scrapped. The only way that any of this can be changed is through legal means or forceful ones, both of which are difficult to pull off for their own reasons. Exceptions exist, but as the saying goes, “the exception proves the rule”, and that’s why Pandora’s Box has yet to be fully opened in the sense of countries waging Hobbesian “wars of consolidation” against each other. Depending on the historical benchmark that one sets, the case can generally be made that some portion or another of most countries’ territory was previously under the control of another entity, and it’s precisely because of the impossibility of setting a single standard for how far back any territorial revisionism should go that no responsible actor seriously wants to entertain this possibility. That’s not to say that there aren’t any forces who have this goal in mind, but just that it’s not as simple as drawing a line on a map, moving in one’s military and administrative representatives, and seamlessly incorporating the new territory. Turkey has no desire to try this against the Balkan countries that are mostly comprised of civilizationally dissimilar (i.e. Christian non-Turkish) populations if it won’t even take a shot at doing so against the neighboring Mideast ones where its military forces are already active and which have Muslim Turkish minorities living in the border region. This “inconvenient fact” debunks the “alternative reality” (alt-reality) that some Alt-Media pundits and outlets have been fear mongering about, one which is more influenced by the “populist” “Turkophobia” of their intended Turkish-neighboring audiences (Armenians, Greeks, etc.) and fellow sympathizers abroad than any objective facts or logical thought. The legacy of Turkish rule hangs heavy over the minds of all non-Muslim and non-Turkish Balkan people, which is why it’s very easy for them to be manipulated into thinking that the “Sultan” is just a split-second away from deciding to invade their countries once again and force their people to submit to Islam. It’s not the fault of the regional audience for reacting to these scare tactics because the blame lays squarely in the lap of those who invented this narrative for their own purposes, be it in rallying the targeted population for whatever their reason may be and/or in smearing Turkey as an “aggressive, Hitler-like, Islamo-fascist state”. The topic of territorial revisionism – especially in regards to post-war borders – is an ultra-sensitive one that must be approached with the utmost caution and objectivity, since the subjective judgments of “right/moral” and “wrong/immoral” don’t necessarily apply in a Neo-Realist world where power and interests trump values and ethics. Holding the position that Mexico is entitled to all of the territory that it lost to the US after only a few decades of independence but not feeling the same about the land that Turkey forfeited after centuries of occupation is a red flag that someone is exercising double standards in order to advance an agenda, for example. In the same vein, supporting secular forces and principles in non-secular countries such as Saudi Arabia or Iran yet condemning Turkey’s soft power outreaches to its ethno-religious supporters abroad is another sign of hypocrisy because it denies Ankara the same right to do what others are in different contexts. The bottom line is that the exercise of soft power is here to stay and that its influence is only growing, and while there are cases where its practice might portend future problems (e.g. NGOs “spreading democracy” inside of China or Wahhabis proselytizing in Europe), there are also others where the actual “threat” is largely imaginary but manipulatively triggered by third-party forces taking advantage of recent history (e.g. fear mongering about President Erdogan’s outreaches to Muslims by invoking the Ottoman occupation of the Balkans, and doing the same with Russians and Russian media in the Near Abroad by obsessing over the Soviet experience). Turkey isn’t going to invade the Balkans just like Russia won’t invade the Baltics even though both Great Powers have legitimate soft power reasons for interacting with their targeted audiences there, but most of Alt-Media and Mainstream Media respectively are relying on hyped-up threats of an “impending invasion” to advance their own interests, with the common casualty being the objective truth in both infowar instances.